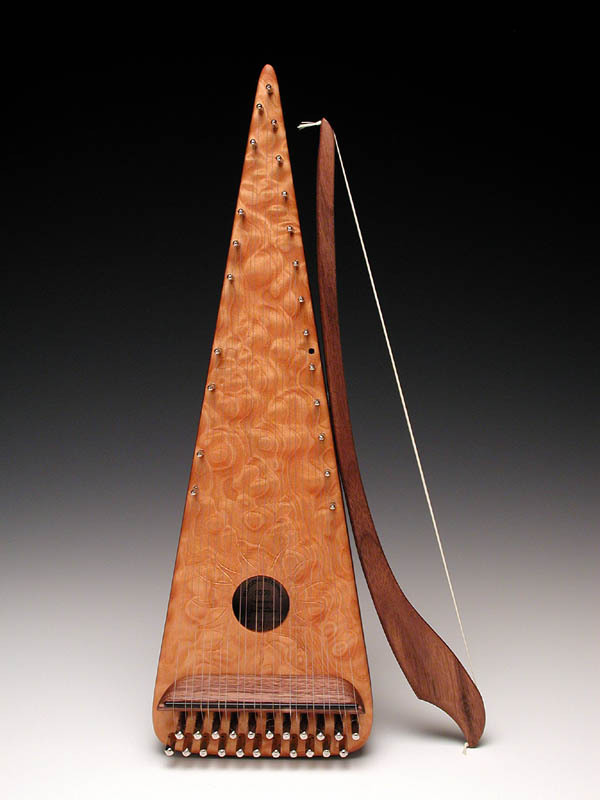 I'll be adding songs to learn on this page as I get them arranged for the bowed psaltery. The lowest "C" on your psaltery will be "1" on the music where the numbers appear above each word in the song. You will bow one time for each note. If you don't read music just follow the words of the song and play the number above the word. My soprano psalteries have a number and note strip that you can attach along the side. If your psaltery is by a different builder you can tape strips of paper along the side and mark the numbers or notes. office supply that look nice and can be removed at any time. You can see what these look like in the photos at the bottom of the baritone page.